1988 TII (10AE) I have removed my BAC and ACV, and blocked them off. I have a cone filter on the stock AFM, and have diligently fixed all vacuum leaks. There is an exhaust leak from a blown gasket at the downpipe; that should be irrelevant in this issue. Plugs and wires are brand new. The car starts fine, and drives fine, but will not hold an idle at a stoplight if i let off the gas. If i let the car warm in the driveway, it will never stall and fall to holding a 500rpm idle. If i manipulate the throttle for a few minutes, it will not hold idle anymore and stall. Sadly, after removing my intercooler and taking a good look at my TPS adjust screw, i notice it is stripped so i got a nice fat screwdriver and managed to turn it clockwise enough to get a reading of .5k ohms on my multimeter. It is too stripped to move past this. I do not believe the TPS is shot, it looks as if the screw has more travel that i could use if it were not stripped. - Are new adjustment screws for the TPS readily available? Is it possible to install and remain in spec? I do not believe i need a new TPS. - How do i go about solving the issue with my idle stop screw? I do not believe i should have to replace it with a longer one, there must be something else wrong somewhere. If its too short, then its too short. Gotta get a longer one. For the screw that is stripped out, try spraying it with WD-40 and see if you can get it to come out. The best place to find new screws in these sizes is to get another throttle body from someone who is parting out a car and swap out the screws. Small screws like this are easy to break since they have been set in the same position for a long time. Spray them down with WD-40 or something similar before trying to remove them, and don't use excessive force. Why not just put your BAC valve back on? I lived without the BAC for about a year. Put it back on, and haven't had much for idle issues since. First set your TPS correctly and then see how much you need to adjust your idle. If your throttle cable is too tight it would hold the plates open more than they should be make the stop screw useless. My, my, my. There's something wrong here. That screw will NOT touch when the engine is not fully HOT. The fast idle cam has to fall off the roll pin for the throttle plates to close fully and for that screw to make contact. There is a method of not having to fully heat the engine up. That involves using your finger to lift up on the fast idle cam screw and lift the cam off the roll pin. That screw is just under that damper to the right of the picture. Fiddle around lifting up on that screw and you'll see the throttle plates fully close and the screw make contact. And P.S........I suggest your TPS is NOT adjusted right. That's because when you lift the cam off the roll pin and the throttle plates close........the linkage to the TPS moves. When it moves, what happens??????? Right. The tps plunger moves. And what is the procedure for setting a tps?????????? Adjust with a fully hot engine so the cam comes off the roll pin. Then again I could be wrong. If the throttle plates are fully closed and the cam and roll pin have seperated, then it could be another thing altogether. But it is ABNORMAL for you not to be able to screw that small screw where it will touch the throttle linkage. Another thing that can cause a not normal idle is the lack of bypass air, whether its from the bac or sources nobody seems to realize on this forum (ok, there's four to five). Those other places of bypass air are the fuel injector airbleeds and the spider for the oil injectors. Both hose to those two items feed filtered air to the rotors, bypassing the throttle plates. Cap those sources off.....lose some bypass air. 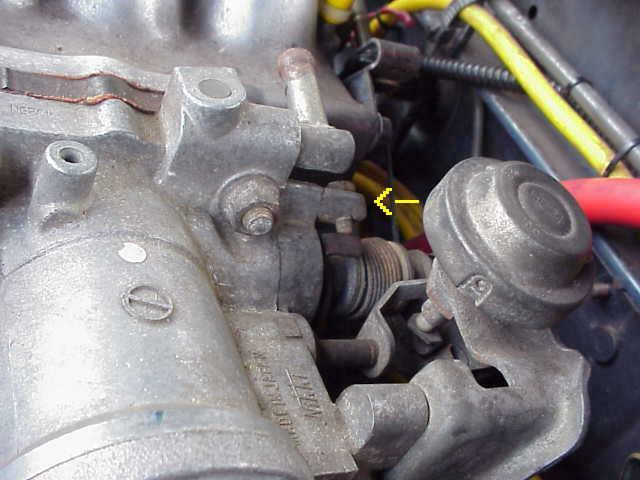 Lose bypass air, lose a normal idle until you make adjustments to either the bac screw or crack the throttle plates open using the throttle stop screw. There's a free, online, Factory Service Manual who's link is on this site. It's in the FAQ thread. Download the FUEL SECTION only. That's all you need. It shows the fast idle cam, adjust screw etc. Last edited by HAILERS; 02-16-05 at 06:22 PM. Thanks for the detailed response HAILERS. I am fully aware that my TPS is not adjusted properly; thats part of my issue! i know its out of spec, and the screw is stripped. Im getting one from Kahren on saturday, so i can go about properly setting it. What i meant was i dont think the TPS itself is "dead." I was making adjustments on a fully hot engine, i was aware of those facts. It was this abnormality that you pointed out (the screw not extending far enough) that had me concerned. I let the car warm to temp before i went to adjust my TPS; this was very clear in the instructions that i read. I think it is, as you put it "another thing altogether." However, to be on the safe side, i will try the alternate method of manually lifting the fast idle cam. Also, i got a replacement vacuum spider from Mazdatrix so i can make sure there are no leaks of the bypass air there. I do know now that the previous owner messed with some settings under there because the TPS screw was stripped before i got to it. Saturday morning im going to get under there and start poking around more. Last edited by OneEyedJack; 02-16-05 at 10:15 PM. dont forget that if your fast idle cam is adjusted too far out, the idle stop screw wont do jack all, because the cam is still "holding" the throttle plates slightly open, even when hot. you could just adjust the cable to set the idle..
Alright, seriously, put the BAC valve back on. 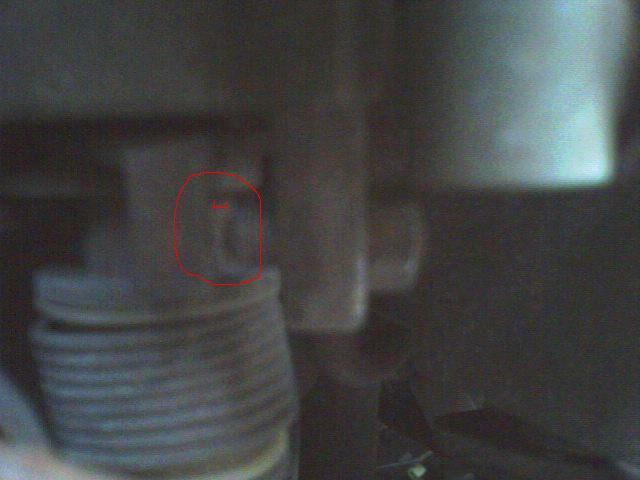 That idle screw is NOT supposed to move at all, its supposed to be right where it is. Its obvious that some particular accessory or the clutch is putting to much strain on the engine while you drive, so its dying. Thats exactly what the BAC is for, and I recommend that everyone keep it. I took mine off and that was a mistake, seriously, idle was good in my driveway, but if you drive and etc, it doesn't hold worth ****. you know i actually considered doing this. Thanks again for the replies guys, i think we can let this rest for now till i get my TPS in spec and screw around more with the throttle stop. i'm having the same situation, throttle stop screw being too short. tried to get a new bolt but was told the throttle stop screw bolt has an extremely small pitch, and couldn't find one. any ideas where to get a longer throttle stop screw? Take it to Ace-hardware? obtain a longer one in the same thread pitch/diam in any metal you'd prefer. already went to a specialty hardware store, the throttle stop screw/bolt has an extremely fine pitch, it's not available. McMaster-Carr Online? Man if they don't have it you might have to have a shop make one for ya...Find any college manufacturing lab, there will be someone there who can help! Damn, I thought Hailers was back. What ever happened to him man? He's like a legend to me. Had poor idle, then adjusted a screw. Is it the fix?